Permanent color with exclusive Anti-Age action that protects hair fiber from oxidation (main factor of hair aging), treating scalp, benefiting strengthening and regeneration of hair. 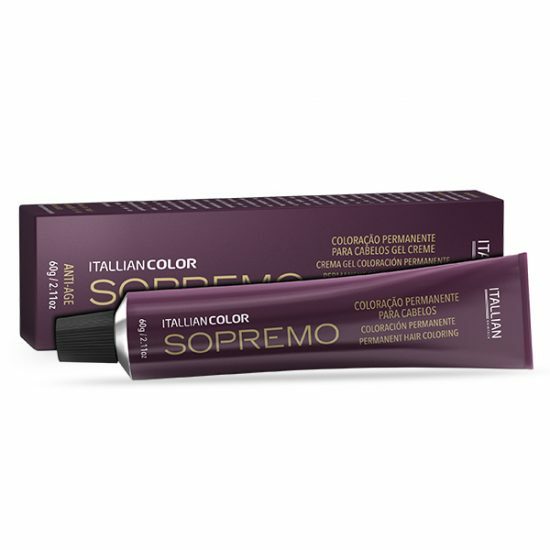 Itallian Color Sopremo is a permanent color that provides full coverage of white hair with color of superior quality and loyal to the color palette that lasts longer in the hair. It is rich in anti-oxidant agents that protect from early fading and ensure a bright and intense color, in addition to emollient ingredients that do not cause dryness and leave hair soft and smooth after color. Has texture that provides an uncomplicated application and of easy rinse.